Every key component of the Dolce was specifically selected for riders like you, looking to tackle everything from the weekend workout to the upcoming century ride. The Dolce Sport has an A1 alloy frame with Women's Endurance Geometry and Zertz for a responsive, yet forgiving ride, while the Shimano Sora compact drivetrain provides reliable and quiet shifting. The EQ is ready for your first adventure with two alloy Zee cages and a Mini-Wedgie seat bag. 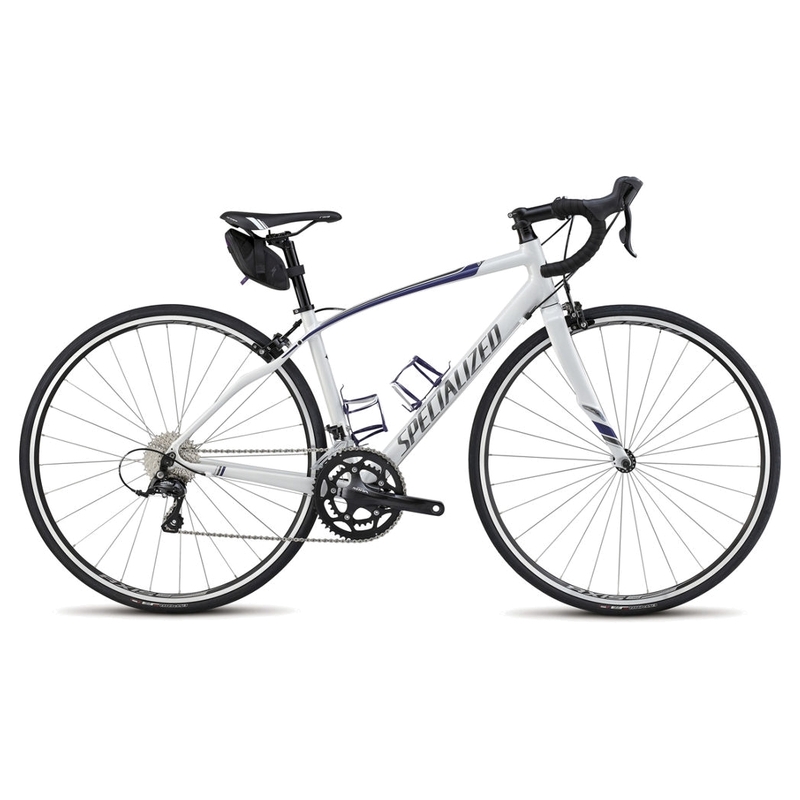 >Specialized A1 Premium Aluminum frame w/ Women's Endurance Geometry for reliable handling. >Lightweight FACT carbon fork w/ Zertz delivers precise steering and absorbs road chatter. >Strong and reliable AXIS Classic wheelset for worry-free performance. >Specialized Espoir Sport tires w/ double BlackBelt protection are affordable and reliable. >Shimano Sora compact crankset for lightweight, wide-range gearing. >AXIS 1.0 brakes offer efficient, confident braking in all conditions. >Shimano Sora, 9-speed rear derailleur ensures you never miss a critical shift. >Ready to go with two color-matched alloy Zee cages and matching Mini-Wedgie seat bag. 440 480 510 540 570. 363mm 391.5mm 421.5mm 456.5mm 486.5mm. 511mm 522mm 530mm 539mm 566mm. 73mm 73mm 73mm 73mm 71.5mm. 412mm 415mm 415mm 415mm 417mm. 74.5° 74.5° 74° 74° 73.5°. 70.5° 71.5° 72° 72° 72°. 49mm 49mm 49mm 49mm 49mm. 68mm 62mm 59mm 59mm 59mm. 575mm 580mm 581mm 591mm 614mm. 976mm 984mm 985mm 995mm 1021mm. 504mm 560mm 642mm 668mm 692mm. 120mm 130mm 145mm 165mm 190mm. 360mm 370mm 370mm 374mm 390mm. 519mm 533mm 549mm 568mm 590mm. 360mm 380mm 380mm 400mm 400mm. 70mm 80mm 90mm 100mm 100mm. 165mm 165mm 170mm 170mm 175mm. 300mm 350mm 350mm 350mm 350mm.